Chelsea have been notorious for being impatient with their managerial appointments since Roman Abramovich took over the club, and his list of sacked managers is perhaps longer than an average monthly shopping list. Such has been the dominance of the Russian owner at Stamford Bridge, that no gaffer has been able to stick around for even five years. Nevertheless, Chelsea hit the jackpot in 2004 when they managed to sign Jose Mourinho as their new head coach after the Portuguese had won the Champions League with FC Porto. 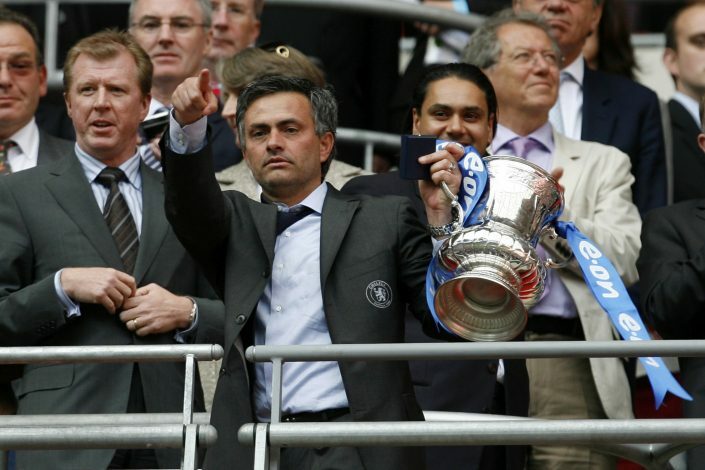 Mourinho was deemed as the ‘Special One’ by himself, and he lived up to the hype by winning the Premier League in his first couple of seasons at Stamford Bridge. But a reported falling out with the club’s owner led to an untimely departure back in 2007, and one former player has now revealed that the players did not take to the decision too well. Speaking with talkSport, Steve Sidwell highlighted what it was like in the Chelsea dressing room when Jose came in to inform the team of his move away from London. “Jose came down to the dressing room to say his goodbyes and gave a speech about how proud he was and the relationships he built with the players,” Sidwell explained. Sidwell finally revealed the magnitude of Mourinho’s bombshell on the dressing room by sharing how ‘powerful’ the moment truly was. “He went round and he embraced every player one by one. I was only there for four or five months at the time and I remember thinking, wow, this is powerful,” he said. It’s fair to say that the somewhat misunderstood manager definitely commanded the respect of a dressing room full of future legends of the game.